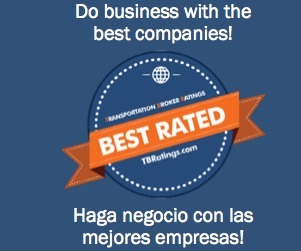 Transportation Broker Ratings » Comercio Textil del Centro, S.A. de C.V.
Name Comercio Textil del Centro, S.A. de C.V.
Comercio Textil del Centro, S.A. de C.V.
Home Experience Reported Comercio Textil del Centro, S.A. de C.V. Welcome to Comercio Textil del Centro, S.A. de C.V. This company shows payment reports and credit evaluations (see below). We are focused on providing the freight transportation industry with data you need to reduce credit risks and to increase your visibility. Use of this Web site constitutes acceptance of the following Terms of Service. Copyright 2007 © TBRatings.com. All rights reserved.